This entertaining and educational program is designed to engage children in an interactive musical/narrative performance of The Wonderful Feast, written by Esphyr Slobodkina, followed by a collage workshop. The Wonderful Feast Musical Narrative Presentation, performed by Ann Marie Mulhearn Sayer, goes beyond everyday storytelling. 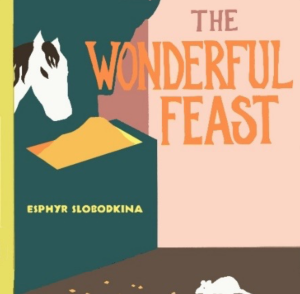 In The Wonderful Feast, a story about sharing, all of the animals in the barnyard are hungry. Why is there plenty of food for everyone? Children are immersed in this musical presentation as each of the animal characters are portrayed through reading, acting, and singing. During the production, which is simple but lively, children are encouraged to participate through mimicry and song. After the show, everyone has an opportunity to ask questions and talk about what makes this story and its illustrations so special. Following the performance, children take a closer look at the illustrations. Ann Marie explains the collage technique that author/illustrator Esphyr Slobodkina employed in her art. Children then make their own collage page using cut-outs of animals, various shapes, and other materials provided by the presenter. Artist Ann Marie Mulhearn Sayer is powerful and charismatic stage performer who spent over 25 years in the music and performance industry. Exploring all music styles, Ann Marie has composed and performed rock, cabaret, contemporary, music-theater and music-theater for children in a number of venues. Her composition, I Am a Good Child, was chosen as song of the year by the United Nations Centre for Human Settlements and she was invited to perform this song, as well as other original compositions, in a concert for World Habitat Day in the 1990s. Ann Marie toured extensively throughout the United States and Canada. She has also done studio work, voiceovers and radio commercials. The Wonderful Feast Musical Narrative Presentation & Workshop encourages children to listen, learn, and work together in a group environment. It requires children to react spontaneously to some events, become active participants throughout the performance mimic body movement, and engage in an artistic collage building activity. 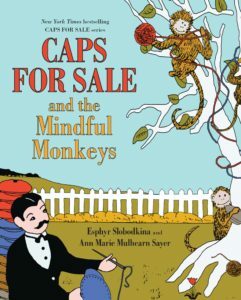 Ann Marie Mulhearn Sayer met Esphyr Slobodkina in 1996, when she was hired to write musical narratives for Caps for Sale, The Wonderful Feast and other Slobodkina books. Slobodkina and Sayer became close friends. Sayer has administered and exhibited Esphyr Slobodkina’s works for over eighteen years. Through these performances, Sayer reawakens Slobodkina’s voice for this young generation.